Last month Frendsbury Gardens in Brockley won a Green Flag, a nationally recognised award for excellence in community gardening. The Mayor will be joining us to raise the flag at 11.45am. Pan-tree in the Park- an Autumn showcase for Lewisham Produce! Venue: Manor Park in Hither Green / Lee. Lewisham Gardens is proud to announce it is working with Manor Park's Cafe Tranqui and @DillyKnit to celebrate what we have grown, sown, baked and made here in Lewisham tthis year! We will be joined by bakers, jam and chutney makers, knitters and gardeners, all proudly showcasing the results of their year's efforts. You are warmly invited to come along and join our celebrations! Whatever the weather, there will be lots of autumn craft activities for children through out the day , plus we will be enjoying the park with a fantastic autumn forage walk in the park lead by Theresa Webb of Kitchen Buddy. Theresa is a local nutritionist and dietician and is renowned for her award winningly healthy raw and baked vegan goods. 1. There will also be a bread and cake bake-off! Everyone is welcome to enter! So get baking! 2. There are some stalls left if you or your group would like to showcase/ sell some goods. For more information: email [email protected] or visit www.tranquicoffee.com to complete a stall booking form. Once you have made your purchases, why not try a local restaurant? These restaurants are all running special taster dishes for £1 - £2. The Dartmouth Arms will also be offering free nibbles. Want to start your own local food business? Do you produce homemade jams, ice-creams, chutneys, smoked fish and cheeses? Do you give them away to work colleges, fetes and fairs? 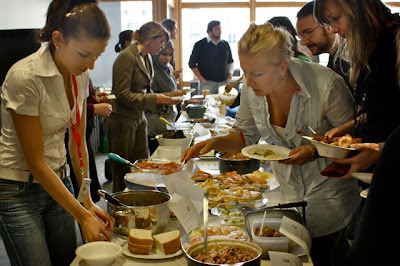 Do you have a yearning to join the growing community of small food producers? If the answer to any of these questions is yes, then you may be intersted in the new food fair market promotion in Lewisham. Lewisham Council is calling all budding entrepreneurs to trade at its markets during the borough’s first ever local markets fortnight, which is set to run from Saturday 28 April to Saturday 12 May. Local markets fortnight will celebrate the vibrancy and diversity of markets in Lewisham and local people will be encouraged to support local independent businesses in and around the borough’s three main street markets in Lewisham, Catford and Deptford High Street. 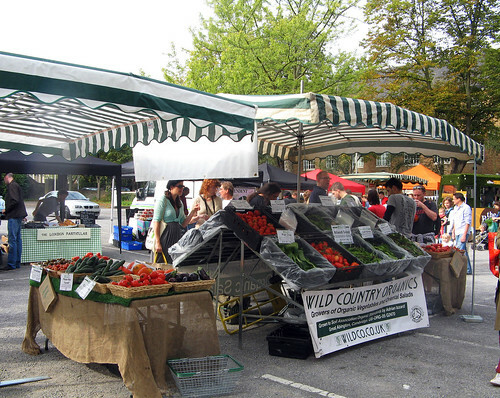 The Council wants to recruit up to 30 new and established traders to sell food, arts, crafts and second hand goods at a revitalised market at Catford Broadway during the weekend of Saturday 28 and Sunday 29 April and at Lewisham on Saturday 12 May. Subsidised stalls will be available, as well as business support and advice on trading. To register your interest for a stall in Catford Broadway during the 28–29 April or Lewisham Market on 12 May contact 020 8314 2050 or email [email protected] by 30 March.